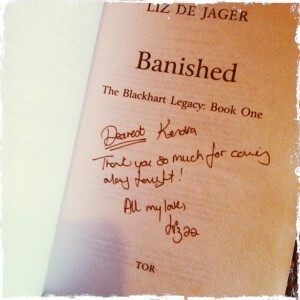 I was excited on Thursday to go to the launch of Liz de Jager’s Banished. 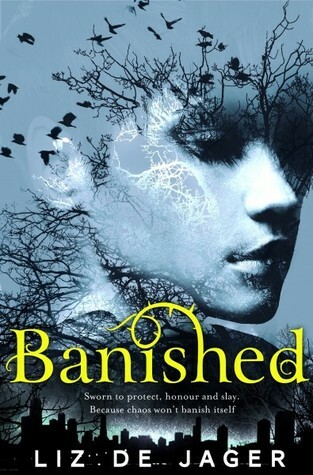 Banished has to be one of the most anticipated UKYA releases of this year, and has been getting amazing reviews. 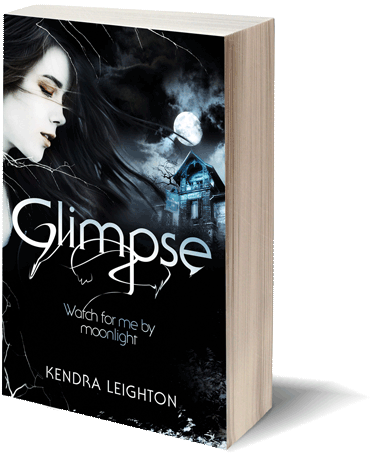 It’s the first book in The Blackhart Legacy series, so there’s lots more anticipating to come! Liz held her launch in Foyles, Charing Cross, so I headed down to London for the day. The event itself was packed—I can’t say I’ve been to many launches, but this was clearly a popular one! There were drinks, gourmet popcorn, and super-cool Banished cookies, but really it was just a big opportunity to mingle and celebrate the book. I met YA author James Dawson and fellow 2014-debuts Non Pratt and Robin Stevens, which was fabulous, as well as a few lovely book blogger / Twitter types. 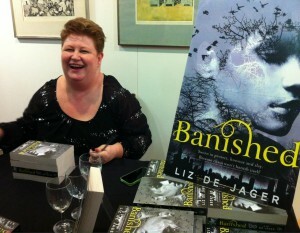 The wonderful Liz herself spent most of the evening signing books (lots of them! ), but did manage to venture out for a short speech. 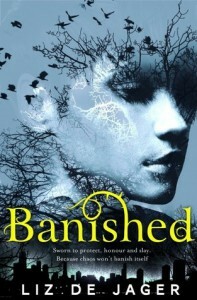 Can’t wait to read my copy of Banished! Kit is proud to be a Blackhart, now she’s encountered her unorthodox cousins and their strange lives. And her home-schooling now includes spells, fighting enemy fae and using ancient weapons. But it’s not until she rescues a rather handsome fae prince, fighting for his life on the edge of Blackhart Manor, that her training really kicks in. With her family away on various missions, Kit must protect Prince Thorn, rely on new friends and use her own unfamiliar magic to stay ahead of Thorn’s enemies. As things go from bad to apocalyptic, fae battle fae in a war that threatens to spill into the human world. Then Kit pits herself against the Elder Gods themselves – it’s that or lose everyone she’s learnt to love. 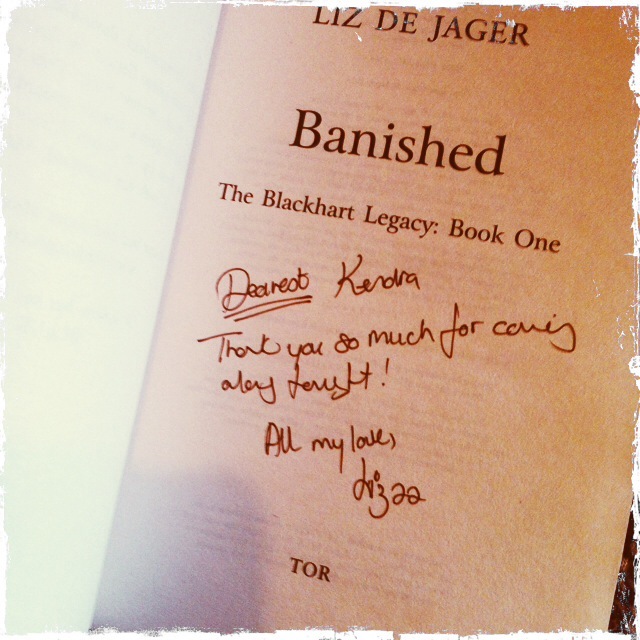 I love this book – and so happy to support a South African author!